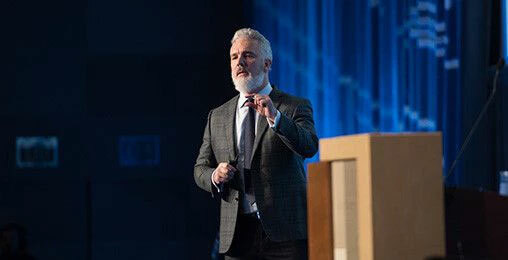 Nick’s Note: Jeff Brown is the editor of The Near Future Report and one of the best tech analysts I know. He’s worked in Asia and Silicon Valley at the executive level for some of the hottest tech companies in the world. When he’s bullish on a technology trend, we’re on board at the Daily. Early this year, we almost saw the largest corporate merger between two technology companies in history. The companies in question were U.S. semiconductor giants Qualcomm and Broadcom. Broadcom had been pursuing Qualcomm since November 2017. It initially offered an unsolicited bid of $103 billion to acquire controlling interest of Qualcomm. Qualcomm resisted. So Broadcom took another route. It initiated a hostile takeover of Qualcomm. That’s when the acquiring company attempts to bypass its target’s board and purchases a controlling interest in the company directly from shareholders. Very often, this means offering to buy shares at a premium. At $117 billion, the new bid for Qualcomm would have represented the largest technology merger in history. But then the White House stepped in… This past March, President Trump blocked the merger. The president said that “credible evidence” suggested that the takeover would pose a risk to U.S. national security. The official details are classified. But I believe I know why the White House took this unprecedented step. 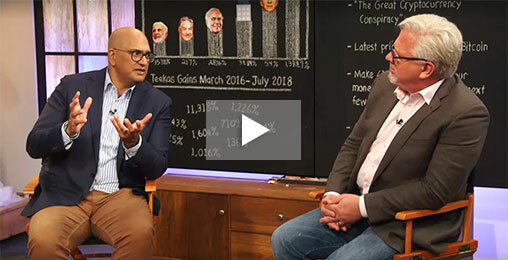 Teeka Tiwari Declares on LIVE BROADCAST with Glenn Beck: "The Bear Market in Cryptos Is OVER!" In this free presentation, Teeka reveals the names of three cryptocurrencies he believes could return 4X, 8X, or even 10X your money over the next 12 months… and shares a plan he guarantees will show you the chance to make a minimum of 1,000%. Click to watch now, before the replay link expires. At the heart of the president’s decision to block the merger is fifth-generation (5G) wireless technology. I’ll explain exactly why in just a moment. When you connect to the internet on your computer, smartphone, or smart TV, a vast physical communications infrastructure makes that connection possible. Hundreds of thousands of miles of transoceanic cables connect to vast, land-based fiber optic networks, which in turn connect to consumers’ homes and businesses. Over the years, these wireless networks—and the infrastructure that supports them—have evolved. It all started in the 1980s with first-generation (1G) networks. Compared to what’s possible today, it didn’t allow much. You could only place voice calls—there was no layer for carrying other types of data. And you had to use one of those brick-sized cell phones Gordon Gekko yaps into in the movie Wall Street. But from then on, a new network generation went live roughly once every 10 years. 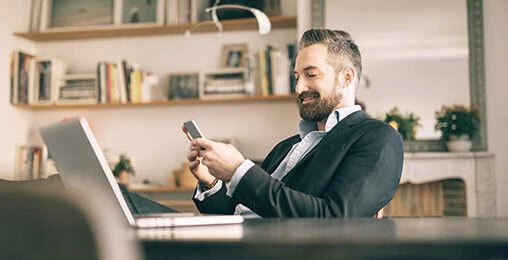 Each provided faster download speeds and more applications. The most recent one, 4G, went live around 2011. Now we’re shifting to the fifth generation of wireless networks—5G. And it represents the largest leap in wireless technology to date. Chris Mayer was a corporate banker for 10 years. But he left that behind to hunt stocks that return 100-to-1… meaning for every $1 you put in, you get $100 back. And on this investment briefing, he’s sharing the details of his findings and how you can make millions from stocks with these characteristics. The current 4G networks are a disappointment. The developers that built the 4G network thought it would deliver average download speeds of 100 megabits per second (Mbps). But in reality, most people only see speeds of about 10 Mbps. At 10 Mbps, the U.S. has some of the slowest internet speeds in the world. We’re in 50th place, behind Romania (at 27 Mbps) and Finland (at 17 Mbps). Even Dracula and reindeer have internet speeds faster than most Americans. But with 5G, the peak speed jumps to 10 gigabits per second (Gbps). One gigabit is 1,000 megabits. So at peak speed, 5G will be 1,000 times faster than the average 4G connection we have today. Even if we just assume that average 5G speeds would be 10% of their potential, we’re still looking at 1,000 Mbps. That means that average 5G speeds will be 100 times faster than what we have today. With that kind of speed, you’ll be able to download a two-hour movie in 10 seconds. Dropped phone calls and slow-loading web pages will be a thing of the past. Plus, some previously “sci-fi” tech will finally become a reality. Technologies like self-driving cars, virtual reality, and holographic projection will all operate over high-speed 5G connections. The applications are endless. 5G is a game-changer because of all the technological innovation it will bring about. It’ll be responsible for $12 trillion worth of new goods and services by 2035. That’s about 60% of America’s total GDP in 2017. Countries that lead the way in deploying these networks will have a competitive economic advantage over other countries. And the technology companies in these “first-mover” countries will be the first to develop the hardware and software enabling these 5G wireless services. Right now, the U.S. government’s fear is that China will set the 5G precedent. For context, Chinese company Huawei supplies the infrastructure and support for more than half of the 537 4G networks around the world. And recently, it was caught using its technology to spy on U.S. network traffic. This led to Huawei being banned from the U.S. and several other western markets over spying concerns. The U.S. government sees it as an imperative that U.S. wireless networks are built out quickly—with U.S. and European technology—to ensure that the country’s networks are less likely to fall victim to foreign espionage. That’s why the Trump administration blocked the Broadcom/Qualcomm merger. You see, while Broadcom recently stated its intention to bring most of its business back to the U.S., the bulk of its business is still based in Singapore. And while Singapore is a sovereign country, it’s heavily controlled by Chinese Singaporeans. The concern was that Broadcom would force Qualcomm to cut back on its research and development into 5G, letting Huawei fill the void… and making U.S. wireless networks to vulnerable to cyberspying. This isn’t wild speculation, either. The Committee on Foreign Investment in the United States, a government agency that oversees foreign investment in American companies, specifically mentioned the threat posed by Huawei when officially recommending the blocking of the Broadcom/Qualcomm merger. In January of this year, leaked White House documents showed that the U.S. government was considering nationalizing the 5G network buildout—in other words, seizing control of wireless networks from AT&T, Verizon, and other service providers… and putting them in the hands of the government. My hunch is that this was just a warning… a way to light a fire under the U.S. companies involved in the 5G buildout. This was a very smart move by the current administration. And it worked. Verizon and AT&T—along with T-Mobile and Sprint, which are in the process of merging—are already building out 5G networks. The hope is to have the U.S. regain leadership in wireless network deployments, which will stimulate even stronger leadership in wireless network technology. If the U.S. fails, the government fears that America would be dependent on Chinese technology to make use of 5G. That would give China an enormous amount of leverage over the U.S.
Verizon is building out its 5G network in Sacramento, California. It says it will have 5G infrastructure built out in five or six other American cities before the end of the year. AT&T is building out its 5G network in Waco, Texas. It also has a long list of cities it aims to have a presence in by the end of the year. One of them will likely be Atlanta. And T-Mobile—the third-largest mobile communications provider in the U.S.—says it will be launching in 30 cities before 2018 is over. To best determine how to play this trend, we have to look at what stage of the game we’re in. First, the physical infrastructure (cell towers) is put up. After that, new devices (smartphones) that work with the towers are developed. Then, new applications are developed to run on those devices. Right now, we’re in the infrastructure phase of the 5G buildout. For 4G, it took about 200,000 cell towers to build out a nationwide network. A 5G network buildout will require around 1,000,000 cell towers—a 5x increase. When all is said and done, there will be a 5G tower on nearly every street corner. Check out the chart below. It shows how spending on 4G wireless infrastructure changed over time. 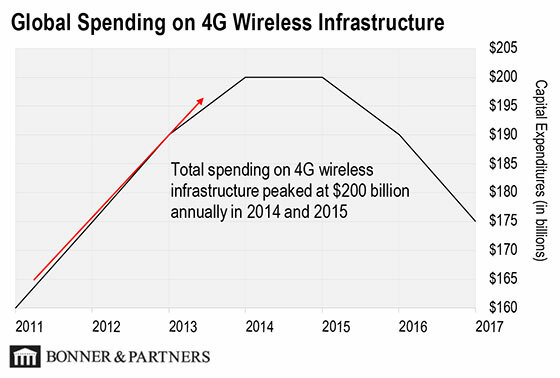 Spending on the 4G wireless infrastructure hit about $200 billion per year at its peak. I expect 5G infrastructure spending will hit a peak of $275 billion and will require a minimum of $200 billion annual spending through 2025. The best bet right now is to look at the companies that will handle the physical infrastructure. American Tower (AMT) is one way to gain exposure. It’s a wireless communications infrastructure company. It builds and maintains communications infrastructure like cell towers. It was instrumental in the 4G buildout that started in 2011. And it’s also heavily involved in erecting and maintaining the towers used in the 5G buildout. 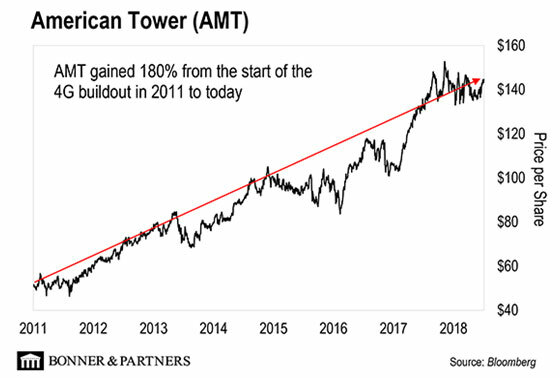 The chart below shows the performance of AMT from 2011, when the 4G buildout started, to present. I expect American Tower will continue to climb as 5G infrastructure continues to be put up. Betting on companies that were instrumental to the 4G buildout, such as American Tower, is an easy way to gain exposure to this unstoppable trend. I’ve already shared four companies with readers of my Near Future Report. And I expect some of them to at least double, perhaps more, in the next 12 months. So I’ve put together a brief video presentation with all the details right here. 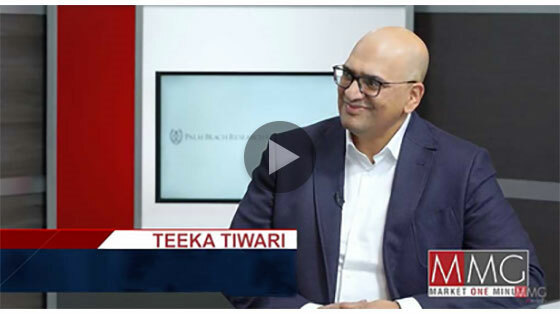 This year alone, PBRG guru Teeka Tiwari has given his subscribers the chance to cash out with gains such as 1,140%… 609%… 696%… 1,643%… and 11,004%… despite the volatility in the crypto market. Teeka believes an event unfolding right now could put even more money in your pocket. And he personally guarantees that if you act on the information, it will give you the chance to make 1,000% over the next 12 months—at a minimum. How will the Monsanto-Bayer merger affect the expanding medical marijuana industry?